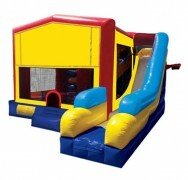 The Cool Combo brings the fun of a slide, an obstacle course, and a jumper to any school, church, work, or kids’ function. 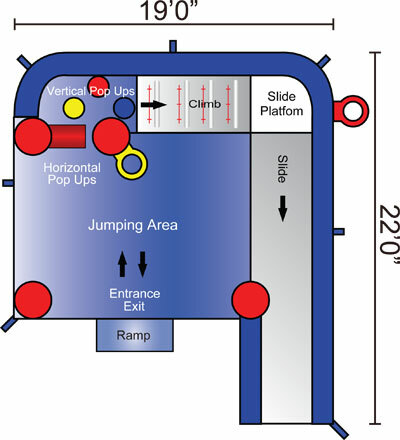 Kids enter the jumping area, move on to the horizontal and vertical popups, then climb up to the slide platform before sliding their way back down and out! 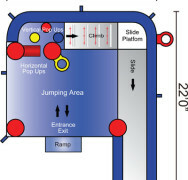 There is a basketball hoop on the outside and the inside too. Parents can watch through mesh windows and various themed panels can be attached to the front. Add a themed banner at no additional cost! Click the tab above to see all Themed Panel options. 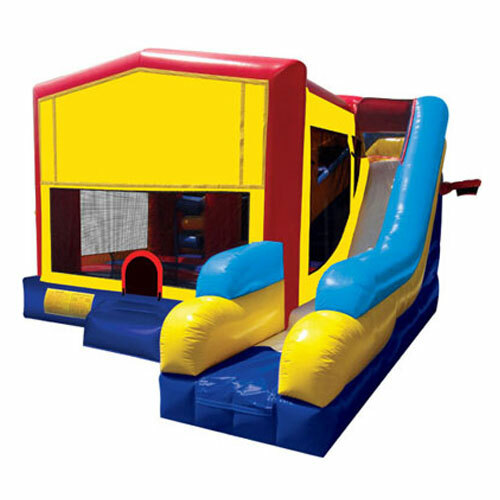 Length: 22’0″, width: 19’0″, height: 13’2″.